Has an incredible ability to read the body and tune in on your emotional and physical state, which allows her to tailor the massage to your needs on the day. 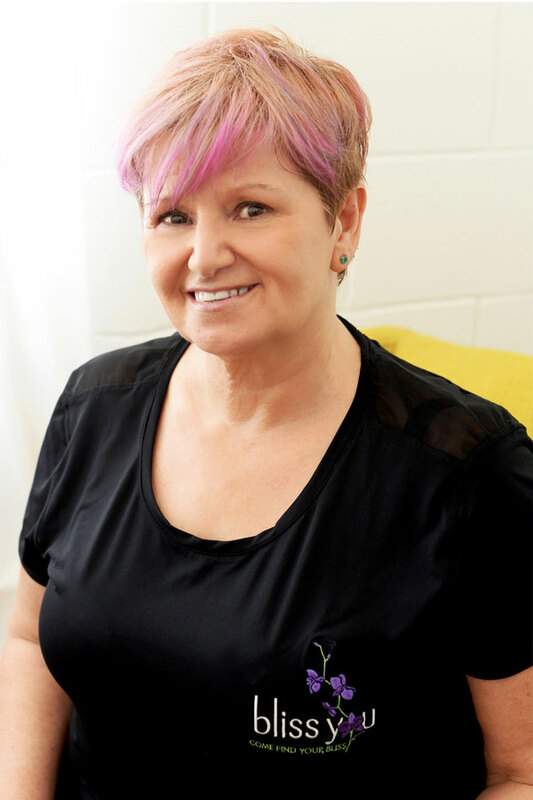 Margie holds a Diploma in Remedial Massage, Diploma in reflexology, Ka – Huna level 7 as well as extra courses in pregnancy, rock taping, hot rocks, chinese cupping and lomi lomi, just to name a few. The pregnancy massage is one of her favourites as she loves to work with both mum & bub in this very special time and feels extra grateful if she gets to meet bub once they enter the world. With her family now grownup she has time to devote to her business Bliss You Massage which she has been running in Caloundra for the last 6 years. Always willing to take on a new challenge and has completed the Gold Coast Kokoda, and walked the Milford track in New Zealand. Looking for an experienced nurturing therapist, book now with Margie.